The Nokia N1 feels pretty premium, but it's not quite at the build-quality level of the iPad mini it apes. It's powered by a 2.3GHz Atom processor with 2GB of RAM and 32GB of storage. The fully laminated 7.9-inch 2,048 x 1,536 display looks great, it's super thin (6.9mm) and at 318g, it's actually a little lighter than the mini. All these features make it a great portable device for watching movies. If you want to find an easy way to get the movies off of DVD discs and not Nokia N1 for killing the time on the go, you're definitely being the right place. 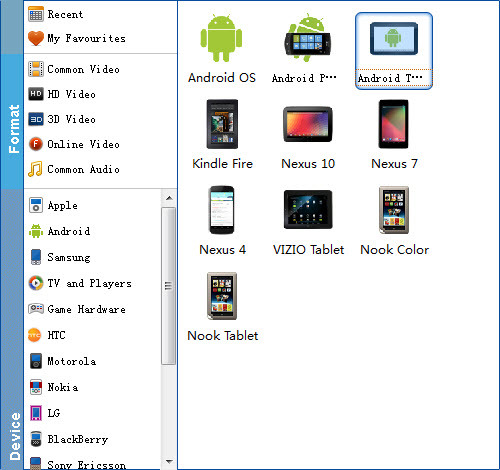 In this article, we will show you a quick and fast way to move DVD movies to Nokia N1. As we all know, the N1 lacks the DVD drive for you to play these movies directly. Also, DVD movies are generally in large sizes and you need to make them smaller whilst retaining the original quality if you want to save and watch your favorites on iPhone. How to put a DVD on Nokia N1? 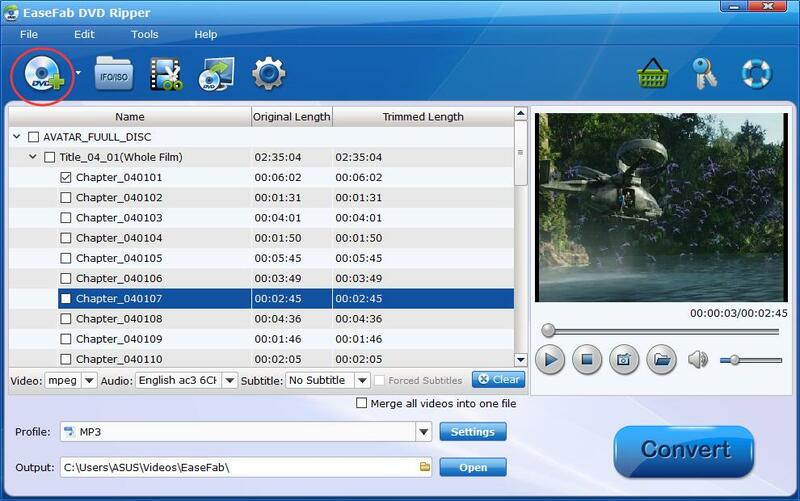 Thankfully, all is easy as you can make your DVD movies playable with a quick conversion tool. Read on to find out how you can rip and convert DVD to Nokia N1 compatible format with ease. There is a number of DVD Ripping software available to help you convert DVD videos if you want to play them on Nokia N1. These software programs vary, so you might be confused when you have to choose one. If so, you are recommended to use EaseFab DVD to Nokia N1 converter. It is rated as the best solution out there to watch DVD movies on Nokia N1. With it, you can professionally rip DVD to Nokia N1 supported video format with fast speed and excellent output quality. In addition, this DVD ripping tool can also convert DVD to various popular video formats like AVI, MP4, WMV, MPEG, MOV, FLV, MKV, 3GP, etc. as well as rip DVD to optimized video for playback on iPad, iPod, iPhone, Zune, Creative Zen, Archos, iRiver, Blackberry, Xbox One/Xbox 360 and more. If you are a Mac user, you can turn to EaseFab DVD Ripper for Mac, which has the same function as the Windows version. Now download the right version and follow the tips below to finish your task. Click Profile column to choose the N1 supported format for output, MP4 is one of the best supported formats, so you can choose Common Video -> MP4 Video, with this format you can play DVD on Pixel C tablet smoothly. Basically the "Android" > "Android Tablet" is highly recommended here. Tip: If you think the video quality this not suitable for your Nokia N1, you can first choose any one of the provided type, then change the settings. Please remember the file size is based more on bitrate than resolution which means bitrate higher results in bigger file size, and lower visible quality loss. After all necessary settings, simply click the big Convert button to start converting the added DVD files to Nokia N1 compatible videos. Wait for the conversion to complete and click Open Folder to get the converted videos instantly. After that, transfer them to your Nokia N1 tablet and watch them anywhere you go. Just enjoy your movies!